At 10am, the babysitter would arrive ready to play with the kids. My husband and I would head to the eclectic barri of Gràcia. We’d search for a carb-heavy breakfast to jumpstart our energy levels. We were about to have a perfect day! We’d go to Be My Bagel (c/ Planeta, 37), whose bagels achieve the perfect amount of firmness and chewiness, just like the ones I remember in my beloved US. We’d order it slopped on with some cream cheese, and of course, have some cafe amb llet. 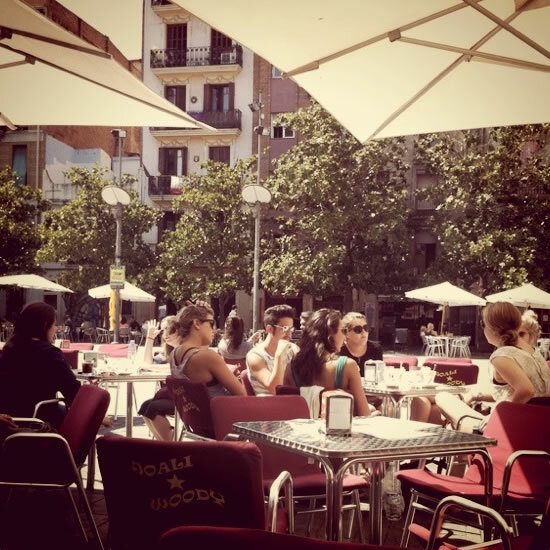 We’d find a seat at the Plaça del Sol to enjoy our breakfast, relaxing and people watching the local neighbors. We’d see workers taking their mid-morning break, puffing their cigarettes and chatting. The elderly folks would be strolling along with their canes, ready to read the day’s newspaper on a bench. Afterward, we’d browse Gràcia’s stylish and charming shops. There’s Olokuti (c/ Astúries, 38), an ethical and sustainable boutique of quirky clothing, books, and gifts. I’d also hit up a few places on the Slow Shop trail, such as Verdejade (c/ Ramon y Cajal, 11), a boutique with lovely handmade gifts, and Nostàlgic (c/ Goya, 18), a photography gear and memorabilia store. Then I’d remember my little angels at home, and I’d pop into Bateau Lune (Plaça de la Virreina, 7), a happy, colorful toy shop in the Plaça de la Virreina, bursting with creative and whimsical toys. It’s lunchtime, and we’d head to a classic favorite restaurant of ours — La Llavor dels Orígens on Ramon y Cajal. Their typical Catalan fare changes based on the season, and it’s local, organic, and affordable. We’d have a “coca” with duck, figs and caramelized onion and maybe an organic stuffed apple with minced meat of lamb and beef. I don’t think I’ve ever been disappointed with one meal there yet. We’d burn off our lunch and head towards Poblenou, a barri that is distant from the typical tourist-filled center but has a fresh, vibrant scene. 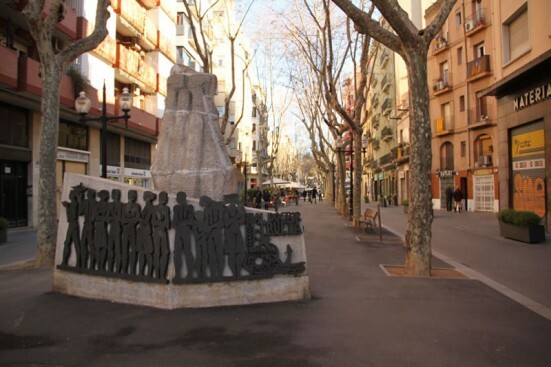 We’d stroll down the breezy Rambla del Poblenou, a pedestrian street lined with trees, benches, shops and restaurants. 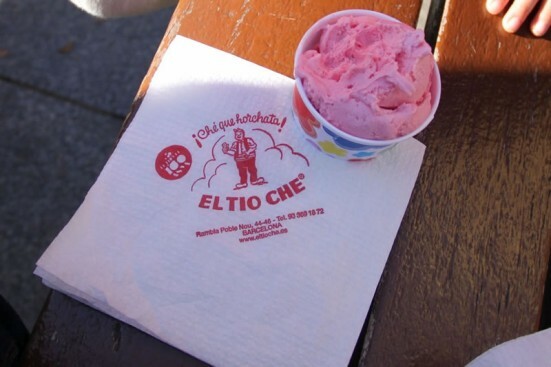 We’d arrive at El Tío Ché, a 100-year-old orxateria, which specializes in orxatas (delicious tiger nut drinks) but also serves homemade ice cream and other delicacies. We’d order llet merengada flavored orxata. One each, please. 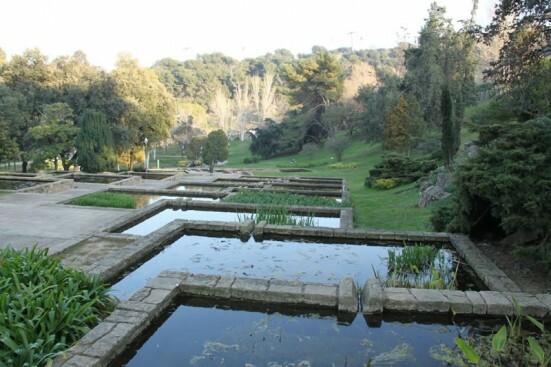 Afterwards, we’d go to Montjuïc and relax on the acres and acres of sloping, green grass. We’d meet some friends there, sitting and chatting on a hill overlooking the busy cityscape and taking it all in. And heck, we’d sneak in a siesta too. It’s getting dark. For dinner, we’d already made plans to dine at the home of a Michelin-starred chef, thanks to EatWith.com. All we’d done was go online and choose the “dining experience”: cuisine type, a chef/host in his or her home, and a time slot that fits our schedule. We’d enjoy Catalan and Spanish food with people from all walks of life: a visiting surgeon from Japan, a backpacking couple from New Zealand, and local Catalans sharing their passion for amazing food and eccentric company. The night would end with laughs and great conversation, all while passing around a bottle of bubbly cava. We’d take a taxi home and find our little angels sleeping in their beds. We kiss them on their foreheads, hoping they’re not startled from our alcohol breath. It had been a good day in Barcelona, indeed. A native Californian, Justine began her adventure as an exchange student in Seville, Spain. She realised her real adventure started when she came back as a resident and started raising a family in Barcelona. But she’s up to the challenge because she can’t get enough of this stunning city. She blogs at LatitudeFortyOne.com. Oh, I love el Tío Che! It is so insanely good, their icecreams.. mmmh.. too good. Fun day that was! It’s so yummy, right? They even give tiny ice cream cones with a tiny scoop of ice cream on top. It’s ridiculously cute for a kid. Thanks, Vera! ¡Maravilloso día en Barcelona! Cada vez que leo un post de Justine descubro cosas nuevas de esa bella y mediterránea ciudad.